Almost three-quarters of the people residing in the Western Isles are living in fuel poverty. Some of them severe. Now local Councillors are appealing to the government to do something about it. The Western Isles are considered the region with the highest percentage of homes living in fuel poverty in the UK. However, they are also the worst in the west of Europe. 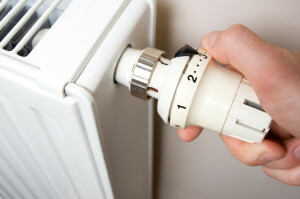 It is estimated that 10% of homes in the islands are spending 33% of their income on heating. This is classified as severe fuel poverty. Almost 20% of residents in the Western Isles are so badly deprived of fuel when they need it most. This is endangering their lives. The islands are known for their cold winters. Temperatures regularly drop below 0 between October and March. This means that the residents need to use their heating more than people living in other parts of the UK. The British and Scottish governments seem to be ignoring the issue. The levels of fuel poverty seem to be increasing in the islands. Now a local Councillor is pleading with the government to do something about it. Lives can be lost due to fuel poverty. Residents of the Western Isles agree that fuel poverty in the UK should be given the same level of consideration as foreign aid. The Islanders have already come up with two solutions that the Scottish Government could easily adopt. These would ease the issue or possibly eliminate fuel poverty. Similar to London, the residents believe that a higher minimum wage should apply to those who work in the Western Isles. Many of the people living on the islands are working in minimum wage jobs. These often fail to cover their heating costs. The Government should offer to insulate all the houses on the islands to a high standard. Therefore, heating won’t be needed as much.